Bill Radke of Marketplace Radio featured Dr. Goose (or his alter ego, David Lefkovits) on the Marketplace Minute. 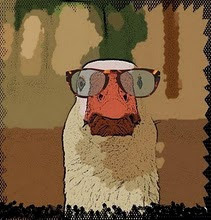 Round One of the Limerick Smackdown goes to Goose, er.. Lefkovits, but look out for Round Two!